Biased coverage by the BBC of a recent attack by Palestinian terrorists in Jerusalem has been slammed by Lord Michael Grade, a former chairman of the publicly-funded British broadcaster. As Breitbart Jerusalem reported last month, the BBC chose a headline on a terror attack that only mentioned the deaths of three Palestinians and failed to note that they were terrorists who murdered a border policewoman, 23-year-old Hadas Malka. 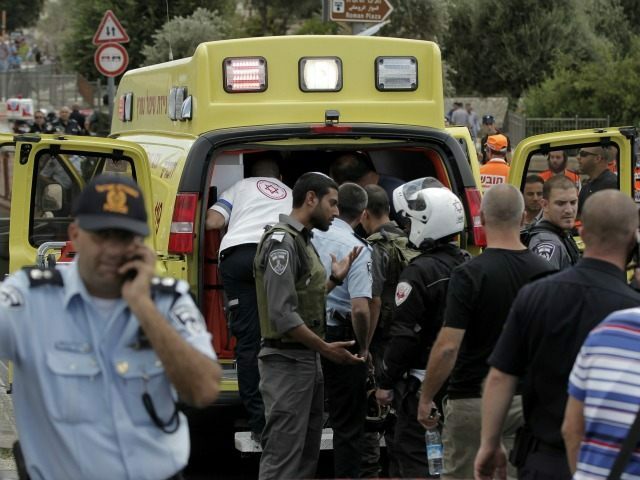 Malka was part of a group of officers who responded to shots heard in the area of the attack. She was stabbed to death when she arrived. Other officers shot and killed the terrorists. 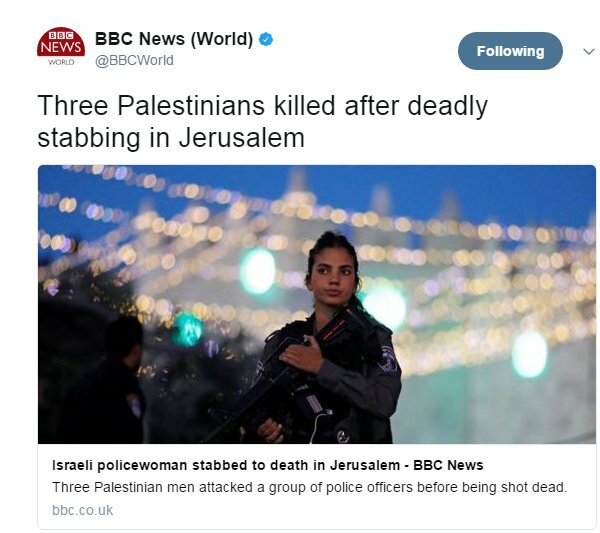 “Three Palestinians killed after deadly stabbing in Jerusalem,” read the original BBC tweet on the story before it was quickly deleted. Prime Minister Benjamin Netanyahu also lambasted the BBC at the time for its headline and ordered the Foreign Ministry to give the media outlet a dressing down. The Israeli embassy in London said it filed a complaint with the BBC “for the false reports about the attack in Jerusalem and their refusal to use the word terror when it comes to attacks on Israeli citizens,” according to the Ynet news site.